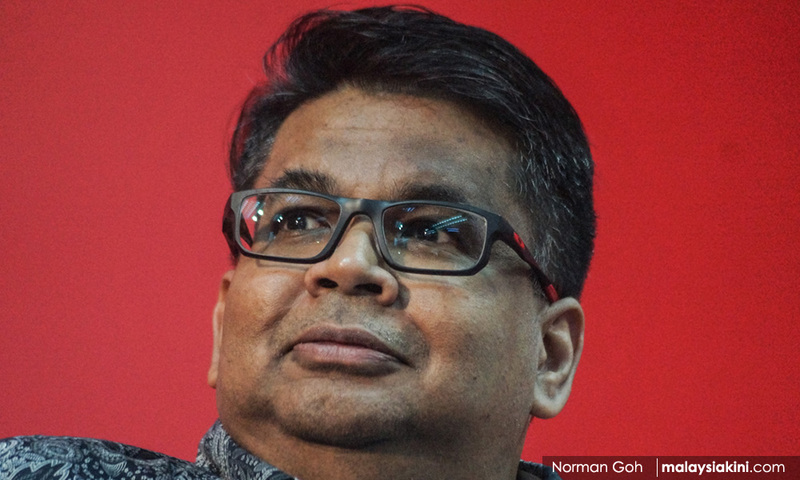 COMMENT | Is the Pakatan Harapan manifesto worthless? Yes, it is. Most manifestos or campaign promises are suspect but now we know that the Harapan manifesto was void ab initio (void from the beginning). Politicians who make campaign promises make an attempt to fulfil them and would make excuses if they could not. What they never do is say: “We made a bunch of stuff up to get your votes which we knew we could never fulfil.” This is exactly what the old maverick has said. Claiming that you made promises while actually believing that you could not win is really dumb. I mean, the people who voted for you had faith in the movement and obviously thought you could take Putrajaya. It’s funny, isn’t it? 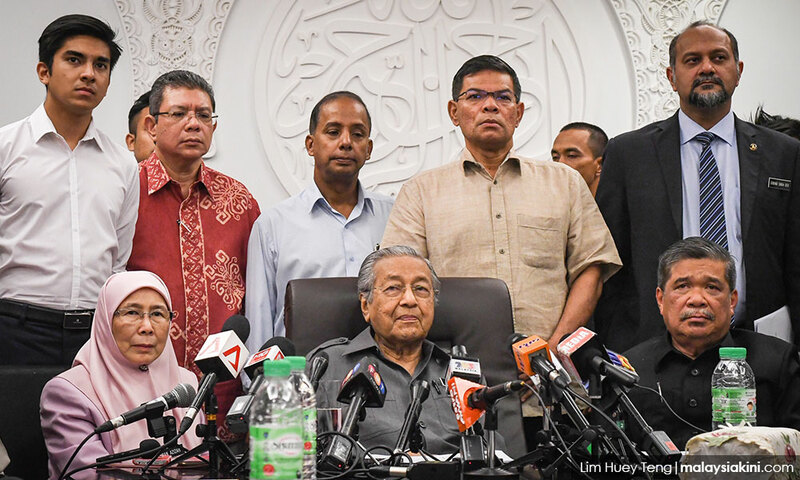 That we now have the prime minister saying that those promises were made when Harapan operatives did not really believe that they could take Putrajaya. I wonder what prime minister-in-waiting Anwar Ibrahim’s promises to the folks at Port Dickson are worth. Mahathir is not some neophyte political operative. He is a seasoned political operative who managed to get people to vote for his coalition even with the systemic corruption, systemic discrimination and race-based ideology for decades. Granted he was operating in unfamiliar terrain with the then opposition but even in this marriage of political convenience, surely he must have believed in some parts of the manifesto, right? Surely there must have been Harapan political operatives who did believe in the manifesto and did not just say things because they believed they could not win. Was that really the strategy? Make a bunch of stuff up and then if victory was miraculously achieved, claim that they could not fulfil those promises? Moving forward, how can people ever trust anything Harapan officials say when it comes to policy? 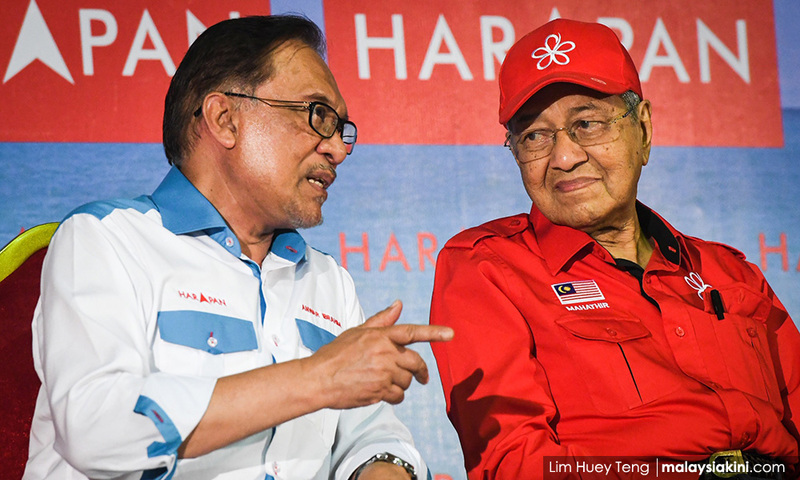 Bersatu’s Rais Hussin claimed that a lot of thought went into the manifesto but apparently the prime minister does not think it means all that much. All these people that Rais (photo) talks about, who put in the hard work of drafting the manifesto, did they not have access to the facts when they promised they could abolish tolls, for instance? We always get this horse manure that the manifesto promises cannot be kept because new information has been “discovered” but really, the Harapan political elite had been claiming that we were reaching failed-nation status, hence whatever “new information” that has been discovered could not be possibly worse than the apocalypse they believed would happen if they did not win. Remember that they claimed that the government was bankrupt at one point. Surely all this must have gone into the number-crunching done by Rais' so-called experts when they were formulating the well-thought-out manifesto, no? If you buy this “new information” excuse, you do understand what this really means, right? That Harapan operatives were talking without having full access to the facts. They were making promises while ignorant of the facts and either they knew it or did not care. Claiming the discovery of new facts that make certain promises unworkable is the height of political mendacity. And please, while this “new information” may fly with die-hard supporters, do you know what is the most important feature of a corrupt regime like Najib’s administration? Information leaks. You really believe that Harapan operatives were not getting information from whistleblowers and sympathisers from the BN regime? You really believe that BN plutocrats were not leaking information to the political operatives from Harapan to hedge their bets? Sure, some information especially dealing with massive corruption deals were “classified” but business dealings of the Umno hegemony were not exactly sacrosanct especially when Mahathir, an arch-establishment figure, took over Harapan. I argue here that this idea of not fulfilling election promises was because the base was quiet on this issue. Harapan is waffling on its promises because its base does not demand that these promises be kept. Often, this base and various political pundits make excuses for why Harapan needs time to fulfil certain promises instead. This may be true in specific issues – like education reform, for instance – but when it comes to repealing certain laws, abandoning certain propaganda organs, or just fulfilling certain promises such as recognising the Unified Examination Certificate (UEC), this excuse of needing more time is complete horse manure. You may have come across some cretins who claim that they believed that Harapan is right to have said anything to win. In other words, voters are so dumb that they will believe anything political operatives tell them because they despise the Umno regime. But this is dangerous. How can we trust anything political operatives say if they cry wolf all the time or believe that they can say anything, break any promise and the base will not hold them to it? It gets even more perilous when the base is not bound by any ideological beliefs but rather a hatred for a regime for different reasons. Now, maybe this may not mean anything to the urban, “educated” electorate, who are always telling the rural heartlands that they need to educate themselves about how the former Umno policies were destroying the country, but how exactly does this play when these so-called ignorant people realise that Harapan does not intend to honour its promises because these were made while thinking the coalition would not win? The removal of certain pernicious laws and organisations could be done with the necessary legislative and bureaucratic processes. But even with these, there has been flip-flopping by the Harapan administration. Having a moratorium on the sedition law as put forward by Communications and Multimedia Minister Gobind Singh Deo until the necessary legislative processes were carried out was a simple and honest move by Harapan. But before that, we had numerous political operatives including the prime minister flip-flopping on this issue. Anyway, all this does not mean a thing. We do not have a credible opposition and the base will no doubt have more red meat thrown at it when the next financial scandal comes into view. It all boils down to how Harapan handles the economy. If it succeeds in a way that the average rakyat does not feel “burdened”, then the burden of this manifesto would not mean anything.